Red Thread Games reveals more details on the story of Draugen, the studio's upcoming Fjord Noir. The mysterious tale set into the misty fjords of 1920s Norway sees Edward Charles Harden and his ward Lessie on a dark journey to find the former's missing sister. Unusual friendship, secrets, forsaken community, fragile mental state are some of the themes broached in the game which also features dynamic dialogues and a context-sensitive interface. Really intrigued by this game's story and premise. Hopefully, it gets a release date announcement very soon and it's not far away. into my veins, walking sim. 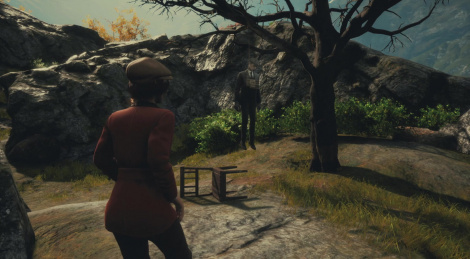 It reminds me a bit of The Vanishing of Ethan Carter, which is of course a very good thing. Very intrigued by this. every character acting shot needs serious work. super stiff and non-emoting. lip-sync isn't there too. other than that everything else looks nice.